How does Blizzard deal with one-trick players, especially those playing ineffective heroes? Despite getting into the whole competitive aspect of shooters quite late in life, they provided a certain profound enjoyment. Maybe it’s just the sensation of outplaying another living, breathing person; the feedback loops that these systems provide in terms of satisfying gameplay and movement; or the fact that no two matches will ever be the same, even if the same load-outs and weapons are employed. I’d say it’s a combination of all of the above, along with that special ingredient of individual moments that keeps me coming back to PvP in first person shooters. Over the years, my selection of PvP titles has been rather limited. Titanfall was incredibly fun with its wall-running, counter-play against the larger Titans and exploiting the most effective routes through levels. The player base fizzled over time and Titanfall 2 failed to really capture a much larger audience (ping problems ultimately sealed the deal on my own enthusiasm). Call of Duty never really attracted me despite the fun I had with Modern Warfare. Ditto for Battlefield 1. The less said about Star Wars Battlefront 2 and Destiny, the better. "Overwatch became a massive success. Many non-FPS players would be drawn to the experience thanks to the sheer range of play-styles available." 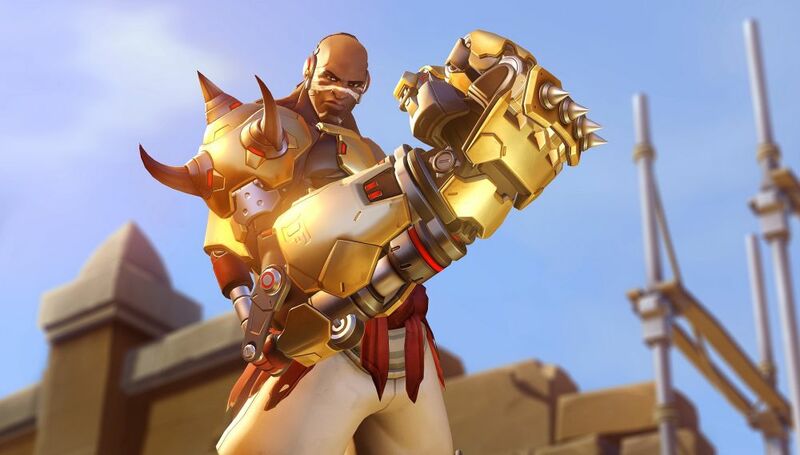 There was one game that really, really scratched that competitive first person shooter itch though – Overwatch. Everything, from the hero selection and team tactics to the counters upon counters and potential to make game-changing, individual plays just felt so right. The gameplay was smooth, there were zero issues with latency and everything felt so polished. Sure, the heroes weren’t perfectly balanced at launch and there wasn’t an incredibly overflowing amount of content. But it was a very strong package with tons of replay value and fun. Overwatch became a massive success. Many non-FPS players would be drawn to the experience thanks to the sheer range of play-styles available. Couldn’t aim? Try tanking with Winston or Reinhardt, creating space for your team while blocking damage. Wanted to support your team? Choose Lucio or Mercy and either speed-boost them away from danger or damage boost them along with regular healing. The choices seemed incredibly basic at first but the real beauty of the gameplay came from varying team compositions, switching on the fly and mastering a hero (including knowing when to deploy them in certain situations). Over time, the content problem wasn’t much of an issue either. Blizzard added new maps, modes, heroes, events, cosmetics and whatnot to constantly keep its players engaged. There’s even a professional Overwatch League where several teams can compete for hundreds of thousands of dollars. 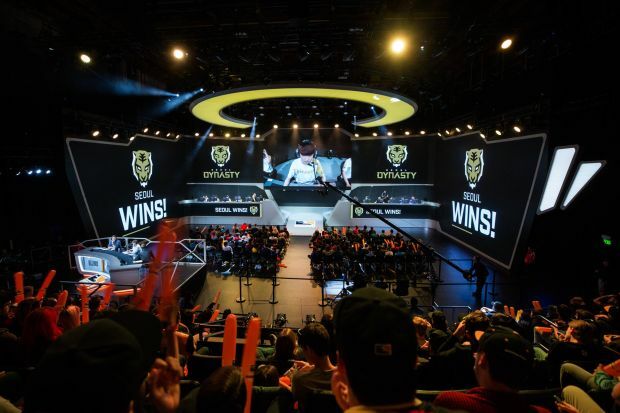 More than anything else, the Overwatch League is a stable platform for esports players to earn a living while showcasing how the game should be played competitively. I don’t even mean that in terms of meta but with regards to communication, teamwork and game sense. The overall structure and success of the presentation has been enough to offset issues like spectator problems, annoying casting or bizarre schedules. "Yet, try as it might, Competitive Play isn’t something that Blizzard has ever really “figured” out." That being said, there’s one aspect of Overwatch that’s always been problematic from the beta days till now and that’s Competitive Play. This is the shooter’s de facto ranked play mode, a ladder where players face increasingly difficult opponents. The initial incentive was the game’s Golden Weapons, especially since there weren’t an abundance of cosmetics at the time. However, for the more serious players, Competitive Play represented a way to cut their teeth and truly appreciate the game’s systems for how they were meant to be played. Quick Play is a nice clown fiesta but in a game that’s so dependent on team composition, one would like to actually enjoy all the systems working harmoniously at times rather than having double snipers and an attack Torbjorn. Yet, try as it might, Competitive Play isn’t something that Blizzard has ever really “figured” out. The first season was plagued by a flawed Skill Rating system with a limited range and Sudden Death mechanics where success was dictated by the randomness of a coin flip. Season 2 was better thanks to the range of SR introduced along with tiers that more properly segregated players into their respective rankings. However, even as Sudden Death and Coin Toss were removed, Draws would occur. Which sounded fine, even if you received some Competitive Points for your efforts, but in the old days of Assault maps where stalls could last forever, it felt like a slap in the face despite trying so hard. Seasons progressed and more changes were introduced. Assault or 2CP maps gained a system that would kind of reduce stalls. Ticks for capture progress were introduced to help further reduce the possibility of draws. SR decay would now happen at a wider range of tiers. 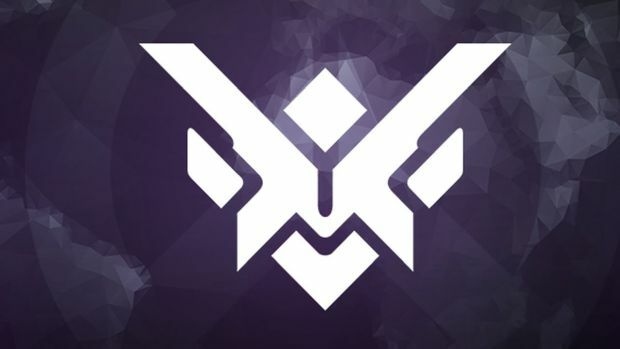 Performance-based SR gain was removed from Diamond tier upwards, pushing players to focus more on working as a team rather than their own SR gains (or losses). And of course, newer heroes and maps would affect matches in different ways. "Sure, you could technically play around a Symmetra or a Torbjorn. But they’re unfortunately not good against for the dive or triple tank compositions, especially in the highest levels of professional play." However, one issue that’s been prevalent in Competitive Play and has reached a boiling point for many are one-trick ponies or OTPs. One-tricks are players who can only play one hero. How does it differ from someone who “mains” a hero? A main is best at one hero but can play others in a fairly competent-to-good fashion. 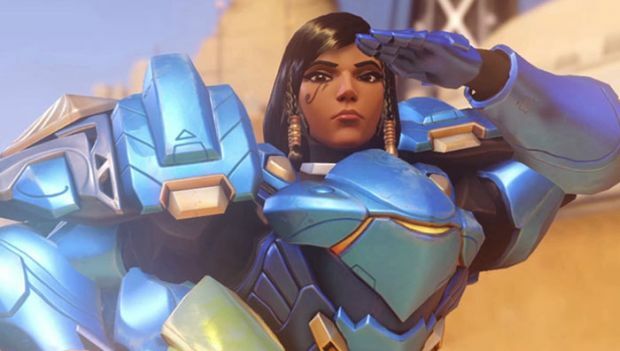 For instance, thought I consider Pharah my main hero, I can play a variety of other heroes in different roles like Zarya and Winston for tanking or Zenyatta and Moira for healing. A one-trick, however, only likes to play a single hero. Much of the stigma for one-tricks comes from them never switching off said hero even if the situation doesn’t suit them. For example, if the enemy has a Pharah or Widowmaker that keeps shutting down your Reaper or Torbjorn, one-tricks will not switch. No matter what. 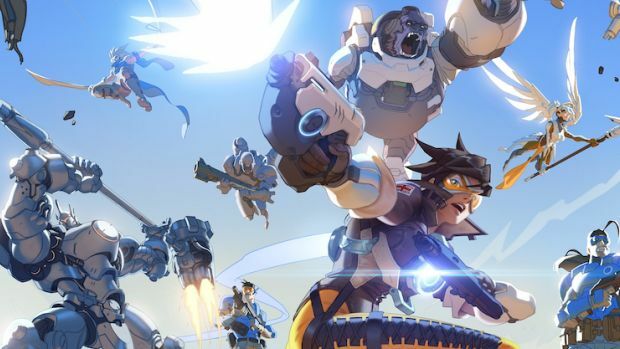 For a team-focused game like Overwatch, it’s not odd to see certain compositions created based on the combined effectiveness of heroes. Dive is a very popular composition these days since highly mobile heroes like Tracer, Winston, Lucio, Genji and D.Va working together (with Zenyatta passing our Harmony and Discord Orbs) are very effective with the right coordination. Quad tank is back in fashion thanks to the high sustainability that Moira offers (and also due to Mercy nerfs). But what happens when a team needs to create a composition around a player who can’t – or refuses to – play a different hero? Sure, you could technically play around a Symmetra or a Torbjorn. But they’re unfortunately not good against for the dive or triple tank compositions, especially in the highest levels of professional play. "What’s even worse is how Blizzard has handled the situation. One-tricking, as such, isn’t bannable. Poor teamwork, however, can result in bans." So you have certain players who hop onto a hero like Symmetra and refuse to switch, even if it’s on Attack or King of the Hill. You have players who are queue-sniping famous streamers just for the purpose of locking in one hero and effectively weighing them down. You have players who couldn’t play anything other than Mercy going into Masters or Grandmasters and then being effectively useless when she’s nerfed. It might not seem like a huge issue for your average QP or Competitive player but for pro players who are logging on everyday, and effectively your target audience, it’s a nightmare to get game after game after game with players like these. What’s even worse is how Blizzard has handled the situation. One-tricking, as such, isn’t bannable. Poor teamwork, however, can result in bans. If you’re being a poor team player by refusing to switch? That’s probably not bannable as indicated by players who were banned but had those overturned after appealing. But if you report a one-trick who does this? Well, you’ll probably get banned as has happened with two Overwatch League players. Not a nice guy in your reports because of the shambles that Competitive is in? That can also get you suspended. It’s not like those players are the shining beacons of non-toxicity but there are plenty other, non-toxic, good players who are suffering. When those good players decide to report the more toxic one-tricks who revel in abusing the system? 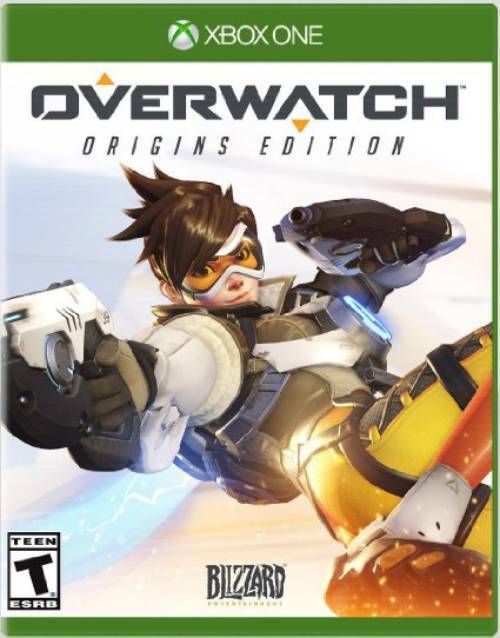 They can go for months before any action is actually taken by Blizzard because apparently, tackling toxicity in an online FPS isn’t something the developer thought would be a priority. "That doesn’t change the fact that it’s a messy issue, that too in a team-focused game where switching roles is necessary and in a mode where winning is the objective." Now to clarify, I’m not saying that people shouldn’t play what they like. I’m not saying Competitive Play shouldn’t cater to anyone but the pro players. And I can understand someone’s viewpoint when they’re very good at a hero and constantly being ragged by other players, especially one-tricks who happen to play heroes that are currently in the meta. When is the last time anyone complained about a Tracer or D.Va one-trick for instance? Blizzard can also be appreciated for recently going after players that do nothing but grief others by locking in Symmetra or Torbjorn under the guise of acceptable one-tricking (it’s not like the problem doesn’t persist though). That doesn’t change the fact that it’s a messy issue, that too in a team-focused game where switching roles is necessary and in a mode where winning is the objective. We can paint this up as being accessible to wider audiences all we want but Competitive Play is for those who want to compete. When someone leads their team to failure, again and again, by playing Symmetra or Torbjorn, even if they’re trying their best, you can only be so sympathetic. It’s not like there aren’t a bunch of other modes they can’t enjoy. What’s the solution then? I don’t feel like having stricter rules or punishments for one-trick players is the solution. Yes, you can punish abusive chat, throwing and other such reprehensible practices but there’s always that grey line which will never be catered to. There could be other potential solutions though. "Another answer is finally implementing a role queue function for Competitive Play." First off, there should be a means to cater to people who don’t want to play Competitive but feel they’re forced to for the Golden Weapon rewards (and thus lock in what they feel is the only hero they can play best). Simply offer Competitive Points across different modes, either for wining matches in QP or through completing daily challenges and quests. Competitive Play could still offer the biggest CP rewards but at least those who want to just have fun can still grind towards the weapons if they wish. After all, Golden Weapons stopped being an indication of skill a long time ago. Why completely restrict them to Competitive Play? Another answer is finally implementing a role queue function for Competitive Play. This also helps players bypass the potential risks of being stuck with a team full of Support players, which can tip the odds against a team. For the sake of encouraging hero switching, players could fill out a few different heroes that they’d be good at and still be allowed to switch in the middle of a game. This could probably be exploited by players who fill out roles for DPS and then immediately choose Symmetra for the entire game. But in those instances, the case for suspension becomes a lot more clear-cut – don’t choose role-queuing if you’re not going to play the heroes you selected. There’s also the possibility of a pick and ban mode, which I think would be good just for encouraging different plays by teams. 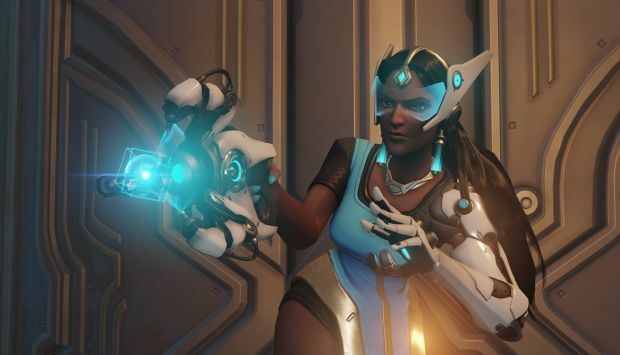 Who knows, there may be situations where you have a Symmetra main and then choose to ban heroes that could hard counter her on the other team. Once again, it’s not a perfect solution but it can turn a detrimental player into an asset. 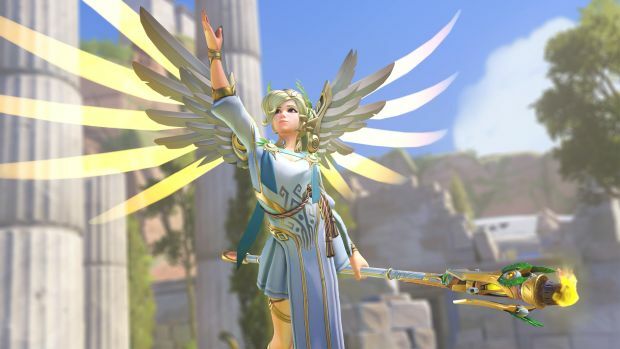 "It might seem like an issue that could be resolved by Jeff Kaplan himself speaking from the heart and telling everyone not to be toxic and get along together but that’s not how online games have worked." Maybe there isn’t a perfect solution to one-tricking. Players who can’t or won’t play another hero, even if it means dragging their teammates down with them, probably have a point. Likewise, their teammates may be justified in all the hate towards them. Regardless, when this is a problem that’s affecting the highest levels of play – especially for those who are constantly in the spotlight and the core audience for your esports push – then something clearly has to be done. It might seem like an issue that could be resolved by Jeff Kaplan himself speaking from the heart and telling everyone not to be toxic and get along together but that’s not how online games have worked. Blizzard can continue with its toe-the-line, situational approach and nuance is indeed required in many cases. But after a point, there needs to be some way to either discourage one-trick players from ruining the experience for others or encourage them for dedicating their time and effort to playing a single hero. Then, maybe, Competitive Play will be fun again.